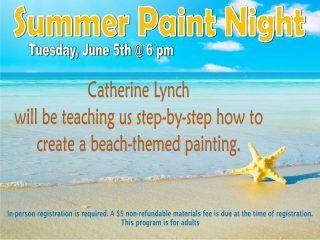 Catherine Lynch will be teaching us step-by-step how to create a beach-themed painting. In person registration is required. A $5 non-refundable materials fee is due at time of registration.